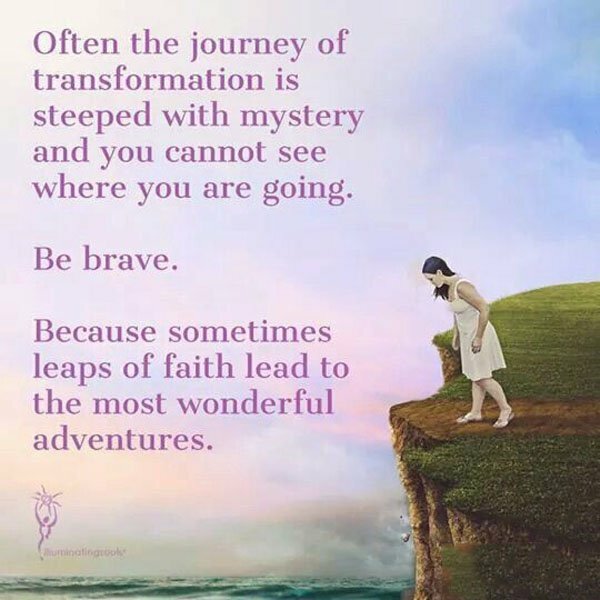 I will be taking a new leap of faith in the very near future. Stay tuned! More information coming! When I was in my late teens our family vacationed in the Thousand Island region of Canada on a lake called The Opinicon. On many of the islands that dotted the lake there were huge rocky cliffs, perhaps 20-30 feet high. We’d jump off the crags into the water. It was scary and exhilarating all at the same time. I’d run up the edge of the cliff all filled with vim and vigor and then stop just before going over. Finally after a few failed attempts, I’d surrender and take the big leap. Why? Because in life there are few certainties and I knew my life had been saved by grace and providence before. And, I must be honest. I was not going to let myself be outdone by my siblings! I couldn’t let that happen since I appeared to be weakling among them. This article outlines why having faith is important to our future. Deciding not to let being an inexperienced writer stop me from writing and publishing my memoir is just one leap of faith I’ve taken in my life. Others you can read about in my award-winning memoir Gift of a Lifetime: Finding Fulfilling Things in the Unexpected. See you tomorrow on All Things Fulfilling.